Dia attended a Kabaddi League game recently wearing a Kotwara sharara with jewellery from Mahesh Notandass. She looked good! 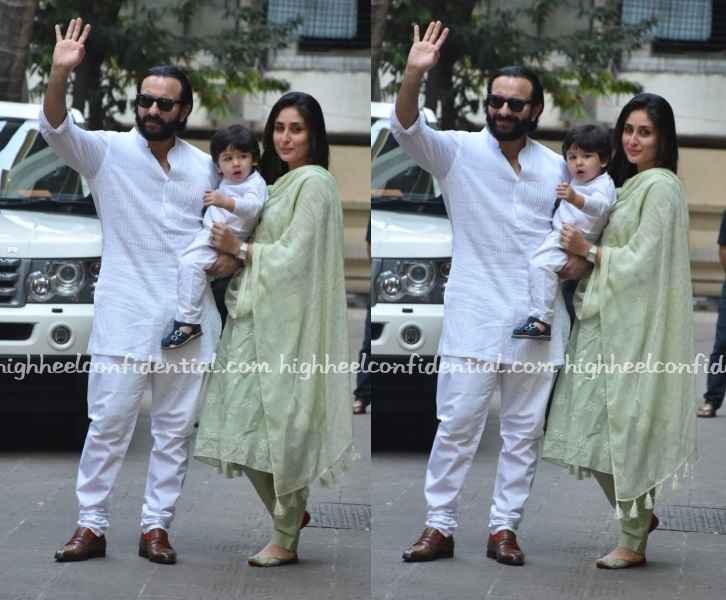 Kareena, Saif and Taimur had Diwali lunch at Babita’s place where Kareena was seen in a pista green Kotwara suit and Saif and Taimur in white Rajesh Pratap Singh kurtas. 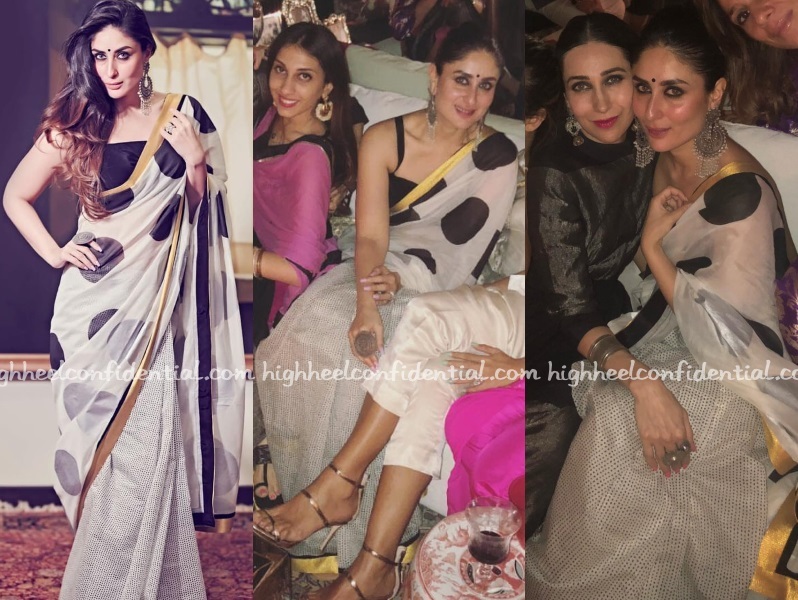 The night before saw Kareena in a Masaba sari at another Diwali party. Wearing a Kotwara lehenga paired with a silver jeweller from Apala, Malaika attended the awards night of the Indian Film Festival of Melbourne on Sunday evening. Back from Delhi after VDW promotions, Kareena was spotted arriving back in Mumbai wearing a Kotwara suit with jootis. She looked nice.